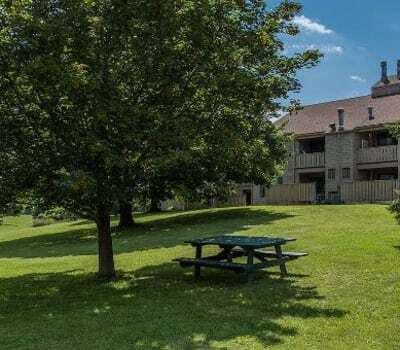 Steeplechase Apartments offers studio, one, and two-bedroom apartments for rent in Camillus, NY. We feature spacious and comfy apartment homes with central air conditioning. Select homes are equipped with a cozy wood-burning fireplace and spacious walk-in closets. You will also appreciate a private outdoor living space and access to garage or carport parking. With a fitness center, swimming pool, walking paths, and tennis courts, Steeplechase Apartments is perfect for active residents. Our community features 24 acres of lush grounds and ample green space for you to enjoy with family, friends, and pets. Other convenient amenities include concierge service and 24-hour emergency maintenance service. See the beauty of Steeplechase Apartments in person. Contact our leasing office to schedule a personalized tour.